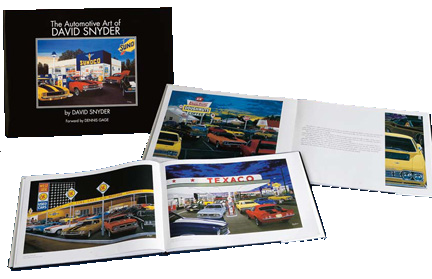 There is a crossover between cars and guitars -- and David has tapped into that market in a big way. His first project resulted in raising $105,000.00 for the charity “Curing Kids Cancer”. There have been many private commissions to follow. 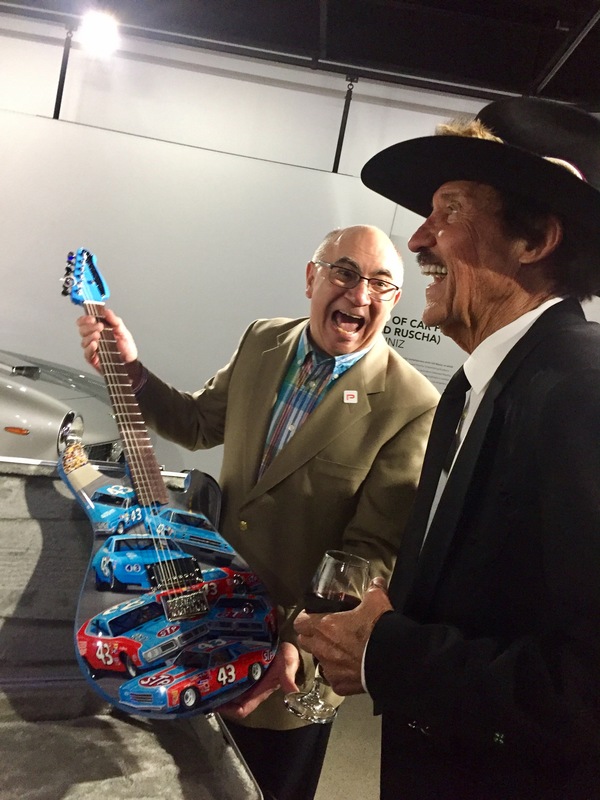 The most recent charity auction was for the benefit of Richard Petty’s “The King” Petty Family Foundation. The guitar was presented to Mr. 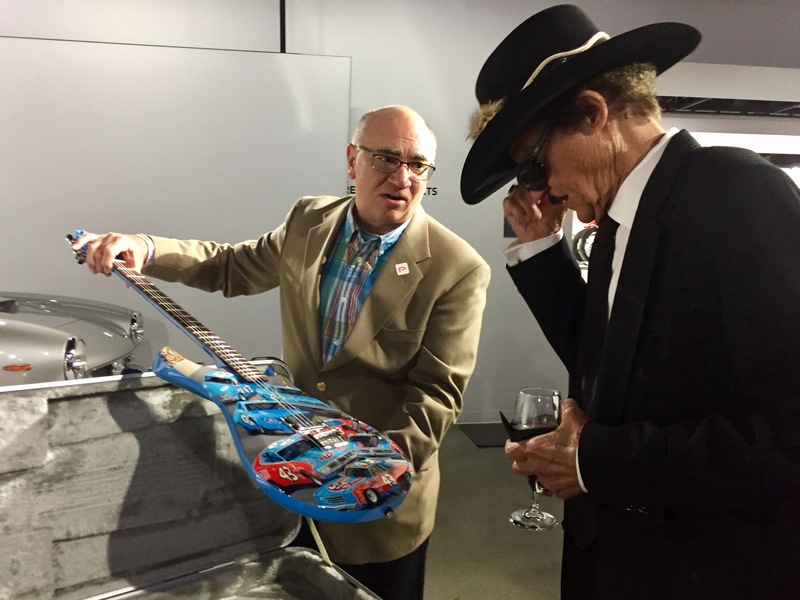 Petty and later auctioned at the Peterson museum. It was an amazing evening and a privilege to spend an evening with Mr. Petty and other automotive enthusiasts. Another passion of artist David Snyder is guitars. 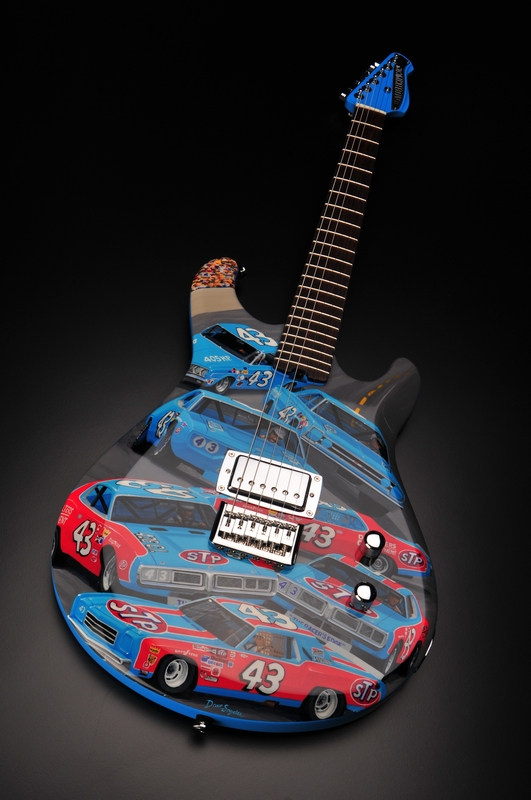 Cars and guitars just seem to go together. The painting “Strat Shopping” was inspiried by a visit to a high end guitar shop in Chicago. A wall of Fender Stratocasters was begging to be captured in a painting. In 2013 David spearheaded a project with The Gibson Foundation and Mecum Auctions benefitting the charity Curing Kids Cancer. 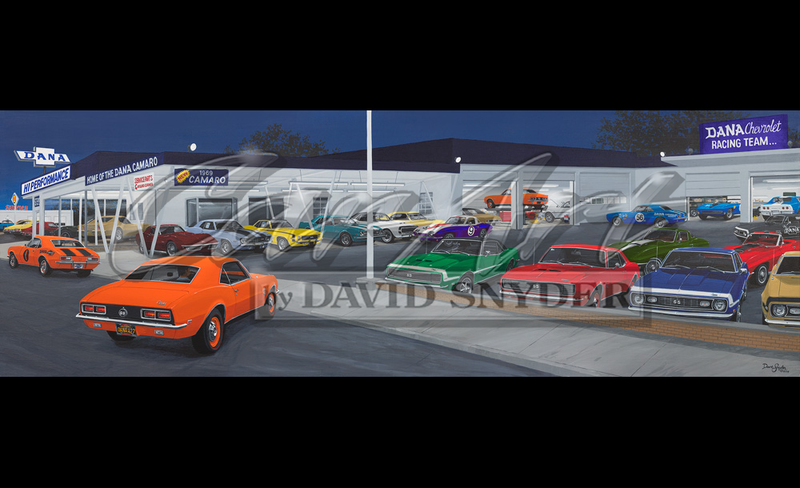 Using a Gibson Les Paul Standard as his canvas David features the cars of the Indianapolis Mecum Spring Classic Auction in the painting. The guitar acutioned live on air amid quite an excited buzz from the crowd-for an astounding $105,000.00! The entire auction bid went directly to “Curing Kids Cancer”, Dana Mecum’s favorite charity. 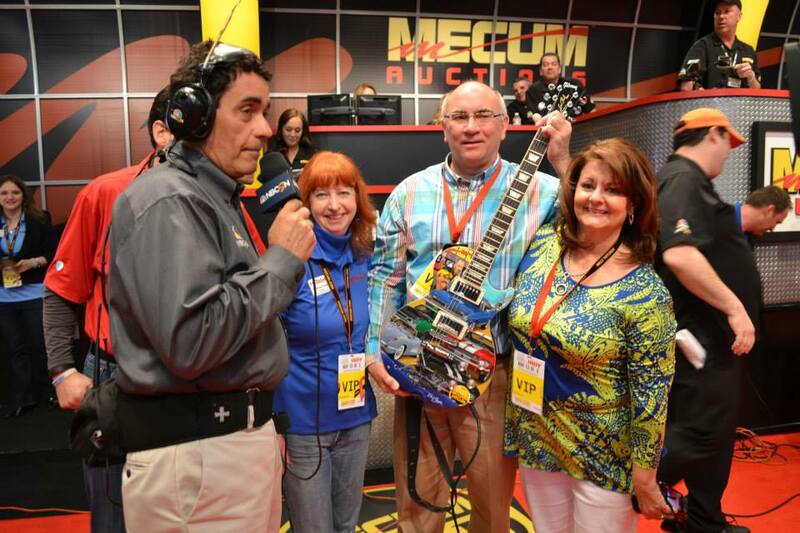 Overall David has raised over $123,000.00 for “Curing Kids Cancer” through Mecum Auctions. This led to three new commissions for paintings on guitars.